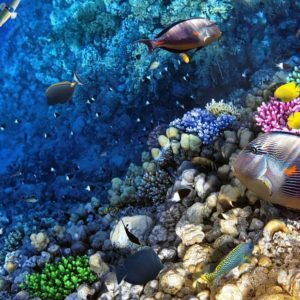 Great Barrier Reef tour – Reef, Raft and Bungy is a action packed Cairns 2 day package tour! Day one of Our Reef, Raft and Bungy (2 days) experience you will travel to the Outer Great Barrier Reef onboard ‘Reef Experience’, spending the day relaxing, snorkelling, scuba diving and glass bottom boat touring amongst natures coral paradise. Get ready in the morning to push your limits and break the laws of gravity at the Cairns Bungy site- the ONE & ONLY in Australia! With a world first Jump Menu offering 16 different jump styles there is Jump for everyone. Whether you are a first time jumper or a seasoned thrill seeker, no doubt we’ve got a jump to take you right out of your comfort zone. There’s nothing like a little adrenalin hit to remind you that you’re still alive!! Located 15 minutes north of Cairns in the middle of dense tropical rainforest, the mountains, trees and natural waterfall flowing into the pond make for a lush oasis to kick back and relax after getting your thrills Jumping from the tower. After being dropped off at your accommodation for a break, you will be picked up again and taken off on your next adventure – White water rafting on the Barron River! 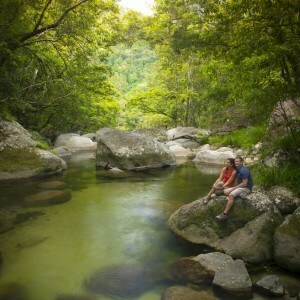 The Barron River Tour is North Queensland’s most exciting half day rafting tour. Feel the rush of white water rafting within the awesome wilderness of Australia’s tropical rainforests. Visit two Outer Barrier Reef locations with unlimited snorkelling! Transfers to and from the marina if you are staying in the Cairns business area. There is a $10 Levy payable on board for Bungy, and a $25 Levy Payable on board for the Rafting. High Blood Pressure, Heart Conditions, Diabetes, Pregnancy, Epilepsy, Dislocations, Neurological Disorders, Vertigo… Please note- this list is NOT exhaustive. There aren’t many restrictions for Bungy – we can Jump people in wheelchairs, with limited or no eyesight and many other cases –just call us to discuss further. Rafting is fun, exciting and exhilarating! 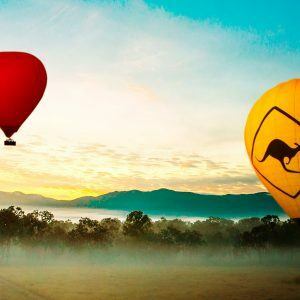 Dive Tables is proudly part of the Hot Getaways Company Hot Getaways Pty Ltd proudly develops high quality, user friendly websites which deliver your perfect holiday experience, every time. We have partnered with operators who share our passion and all tours, accommodation and attractions are carefully selected to deliver outstanding service. We're passionate about making your holiday memories last a lifetime, and satisfied customers are the testament to our ongoing success.